Our mealtime rituals allow us to stop and notice one another in spite of the chaos of our busy days. The following article was reprinted with permission from Ritualwell.org. Despite our busy schedules (my husband and I both work and commute more hours than we like), we have dinner as a family almost every night. I am deeply committed to this ritual because it is the one time of day during the week when we are all together and doing nothing else besides being together. It is a time to stop, notice one another, and notice what we are grateful for. Of course, mealtime, as anyone who has eaten with small children knows, is fraught with difficulty: parents and children have different agendas about appropriate food and how long to stay at the table; meal preparation is often rushed and the one who does the work can feel unappreciated; family members often vie for attention. Here are a few ground rules that we have established in our family along with some suggestion[s] from other families. I do not mean to suggest, however, that we attain peace and harmony every night, or even most nights. Sometimes there is fighting; sometimes the kids hate the food; sometimes it is mundane. But, like prayer, it is a place we come back to again and again, every day, for sustenance and nourishment. And usually there are moments each day when we find some of what we came for. While I feel strongly that the moment before we eat is an important time to acknowledge God’s presence in our lives and our gratitude for our many blessings, we are still figuring out how to do this. Sometimes we say the traditional Jewish blessings over foods – there are distinct blessings for bread, grains, fruit, vegetables and other food so for us city dwellers blessings become an occasion for learning where food comes from. Sometimes, usually at the prompting of our two year old, we all join hands. Often, we go around and say what we are grateful for from that day. Usually everyone also gets a chance to say something about their day. My husband developed a game when our oldest daughter was about 4 called “truth and pretend.” Each person had to say something truthful that happened in their day and something pretend and everyone else had to guess which was which. Sometimes we strove for outlandish “pretends” and sometimes we tried to make the pretends sound “real” so it was hard to guess. We choose not to have adult conversation at the dinner table and we try to avoid topics which will arouse conflict. I believe that it is important that everyone share in the family’s labors. While my husband and I generally divide up the cooking and dishwashing, my older daughter (5) helps set the table and clears her own place after the meal. Older children can and should do more. I was a reluctant eater as a child and my parents believed in the clean plate club. Consequently I was often left alone at the table chewing the same piece of meat while the family had gone off to do other things. I was not interested in recreating this scene with my own children. 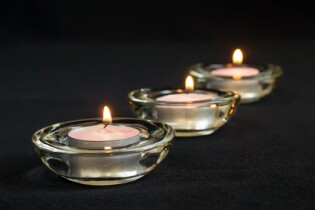 Candles: One night I decided that we needed more peace and beauty at dinner. I lit candles and put them on the table. This seemed to be just the touch we needed, making meal time more ritual-like and special. Getting Up: Our children are expected to stay at the table while they are eating (not bounce up and down) and to ask to be excused. We do not answer the phone during dinner nor do we allow other intrusions (definitely no TV!). Tea for Two: In a lovely book called Mitten Strings for God: Reflections for Mothers in a Hurry, the author, Katrina Kenison, describes how she and her husband share tea at the table after the children have been dismissed and gone off to play. This provides a welcome 10 or 15 minutes for the couple to talk with one another without interruption before the business of dishwashing, baths and bedtime. We have not yet taken this one on, but I would like to. Although some social critics decry the disappearance of the family dinner table, I think that this ritual, as with all things, has to be adjusted for each particular family. Every family needs time to check in with one another and to be a family. For some families a daily dinner is too much. They may need to settle for a weekly dinner, a night out at their favorite pizzeria or whatever works for them. Family dinners, like family beds, breastfeeding and so many other things cannot be prescribed – they have to be created by each family to suit its unique needs and temperaments. Each family must evolve rituals that work for them. Rabbi Rona Shapiro graduated from Harvard College in 1984 and received rabbinical ordination from the Jewish Theological Seminary in 1990. 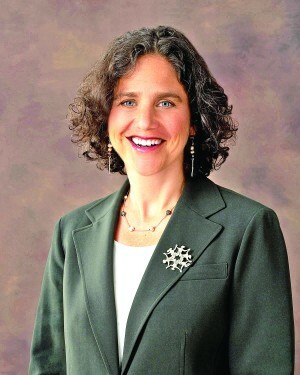 From 1990–2000, she served as the executive director of Berkeley Hillel. From 2000–2007, she worked as a senior associate at Ma’yan: The Jewish Women’s Project in New York City where she edited, compiled, and launched the first version of Ritualwell. In 2007, Rona became the spiritual leader of Congregation Bethaynu in Cleveland, Ohio; in 2011, her congregation joined B’nai Jeshurun, a larger Conservative congregation in Cleveland, where she now serves as rabbi. She is the author of numerous articles.